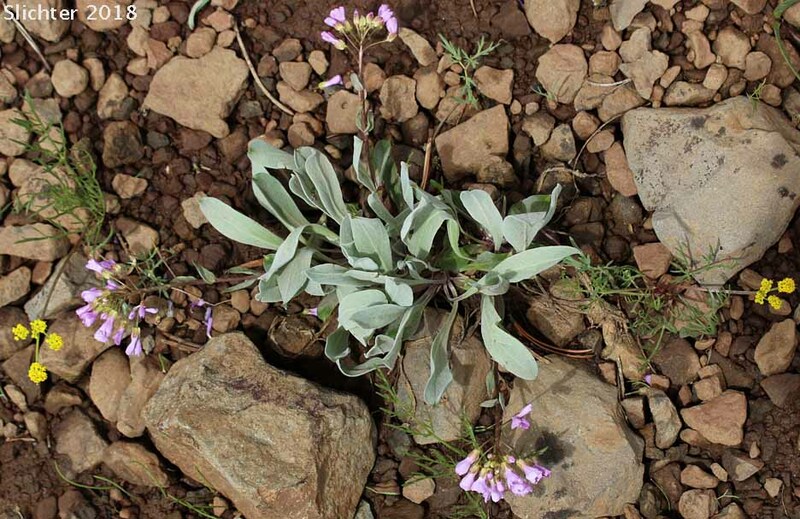 Daggerpod beginning to bloom on a rock outcrop on a ridgetop due north of the Jackman Park Campground, Steens Mountain of southeastern Oregon.............June 2, 2012. 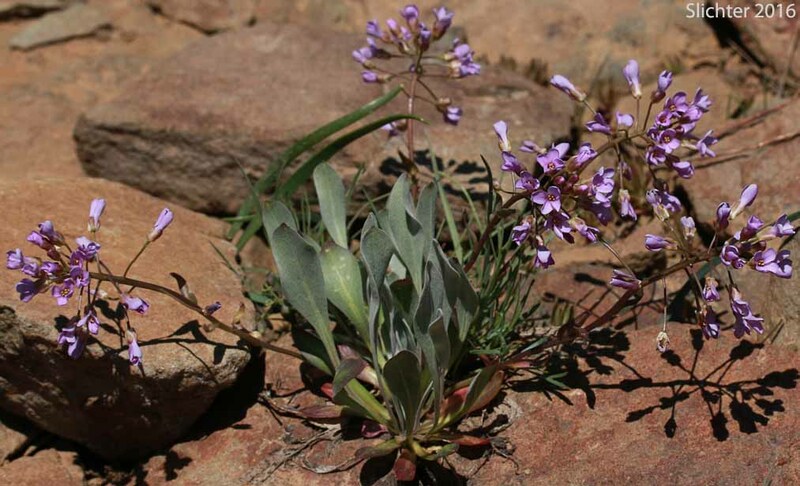 Daggerpod is an attractive wildflower that would probably be suitable for a dryland rock garden. 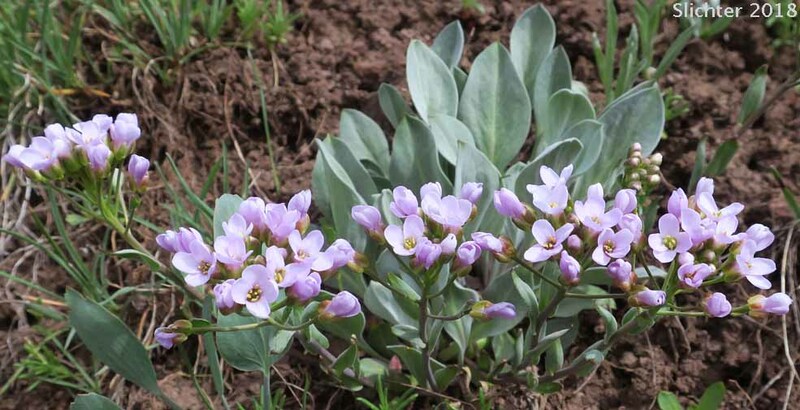 It is perennial with a basal rosette of oblanceolate leaves with entire blades that narrow gradually to the long, slender petiole. The leaves are 3-15 cm long and covered with numerous, fine to coarse hairs which range from cross-shaped to many-branched. The leaf margins are entire. 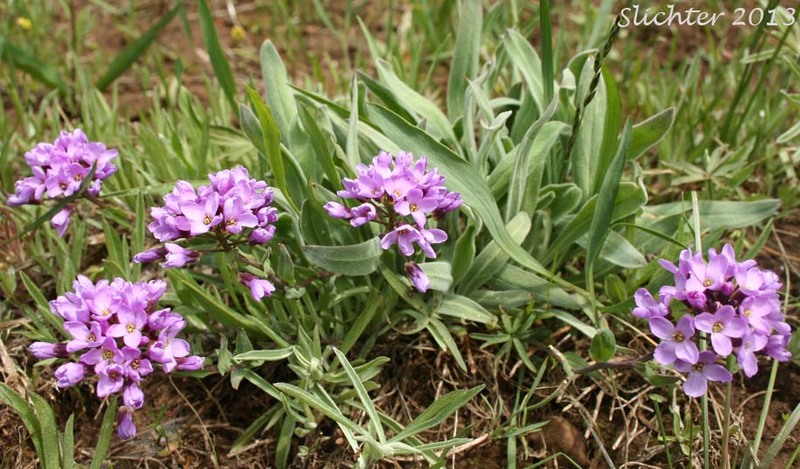 The typically glabrous flowering stems are 5-20 cm tall and have several sessile leaves with heart-shaped, clasping bases. 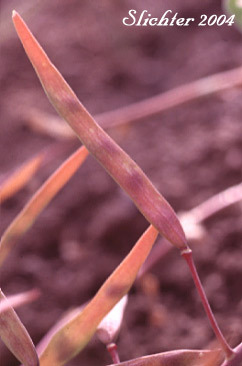 The stems may be erect or prostrate. 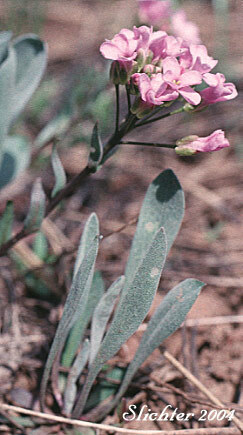 The stem leaves are 5-35 mm long, lanceolate and narrow in breadth. 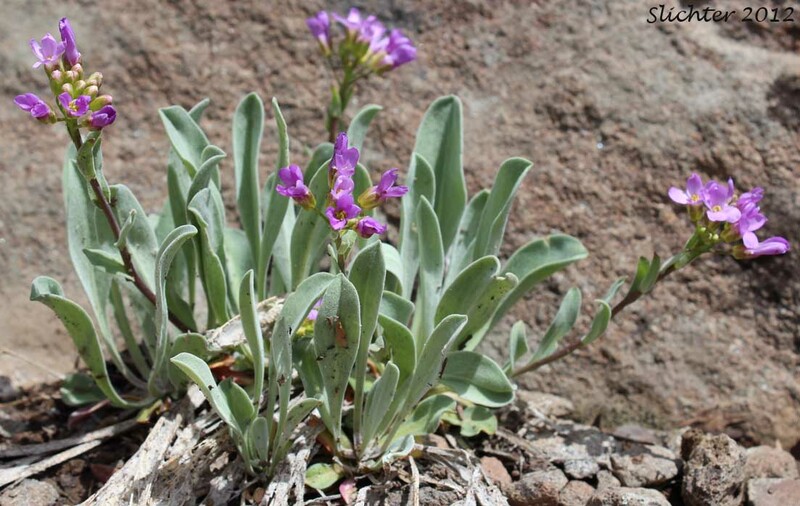 The inflorescence is a many-flowered raceme. 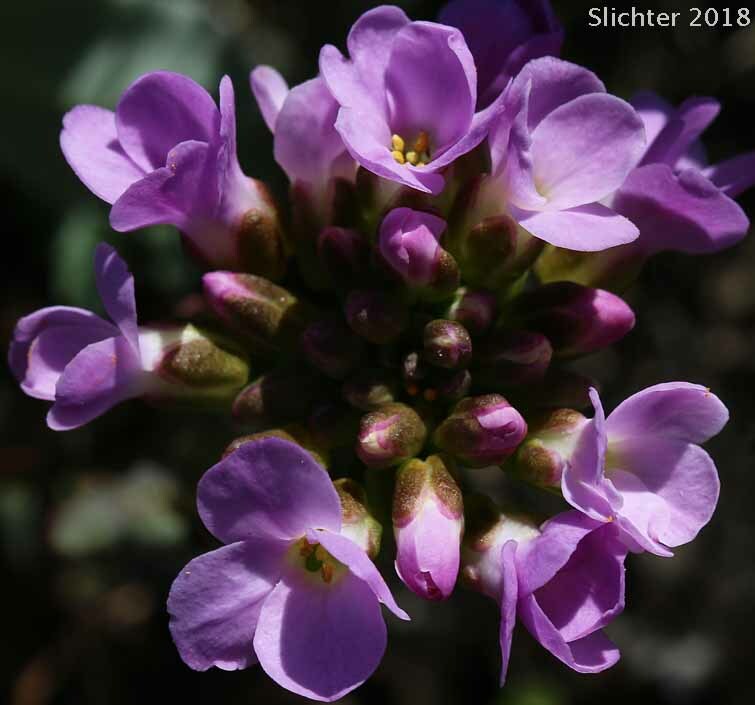 The 4 sepals are pink or purplish in color and each is 5-6 mm long. 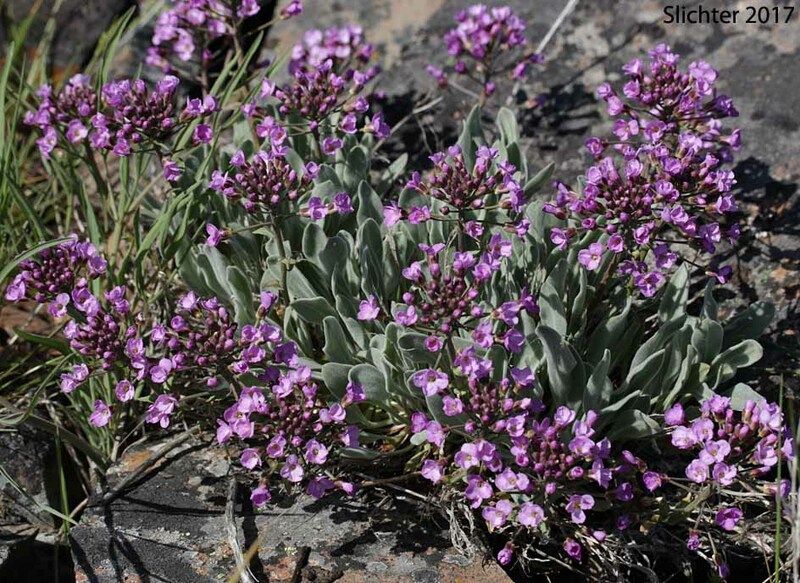 The pedicels are 5-35 mm long and spreading while the reddish to purplish sepals measure 11-15 mm long. 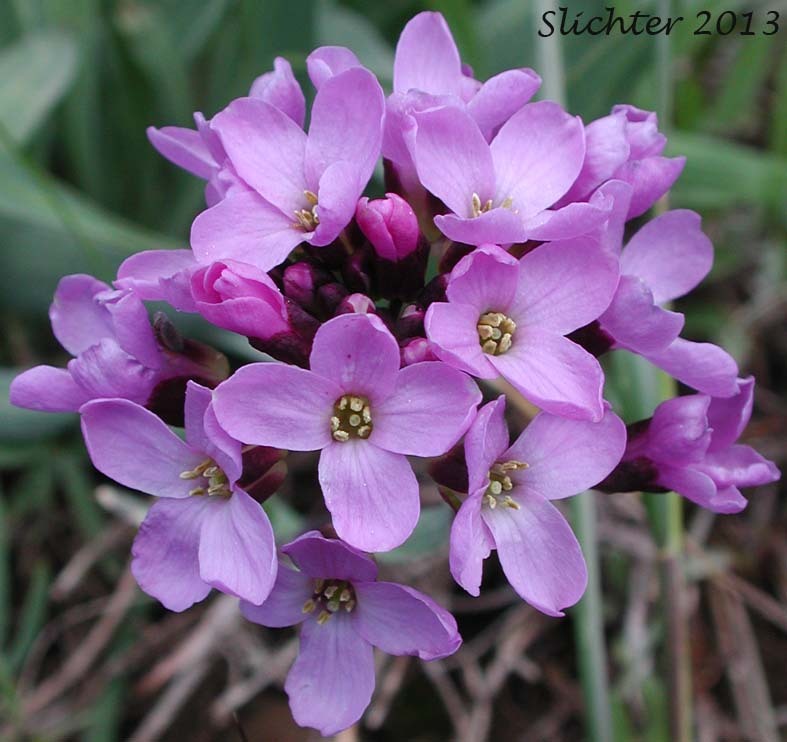 The pink to reddish-purple petals are obovate-oblanceolate in shape and measure 11-15 mm long. The anthers measure 1.5-2 mm long. The fruit is a broad, dagger-like silique measuring 2-8 cm long and 2-6 mm wide. The siliques spread outwards at right angles to the stem. The surface of the silique is glabrous with a prominent ridge found the length of the middle of capsule. 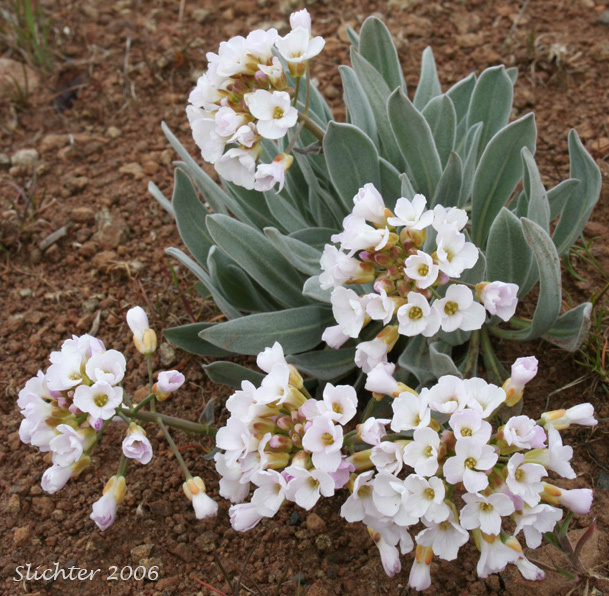 Daggerpod is found on rocky, thin soils from the sagebrush plains into ponderosa pine forests up to the cold, windswept ridgetops. 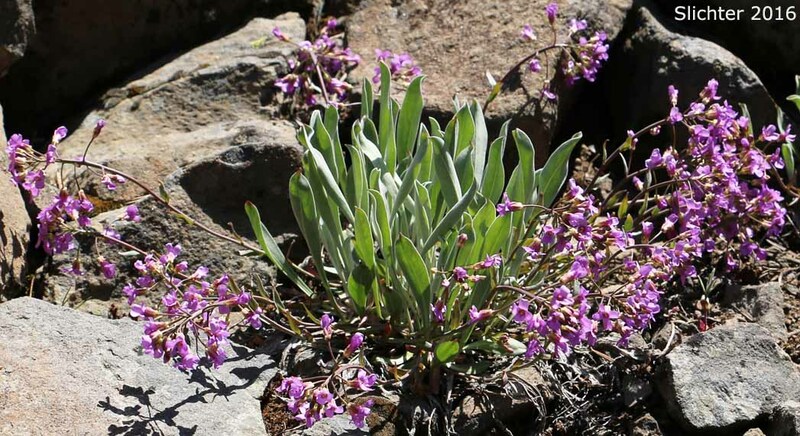 Daggerpod is found east of the Cascade Mts. in central Washington and Oregon. It extends eastward into neighboring Nevada and Idaho and south to the north Coast Range and Sierra Nevada of California. 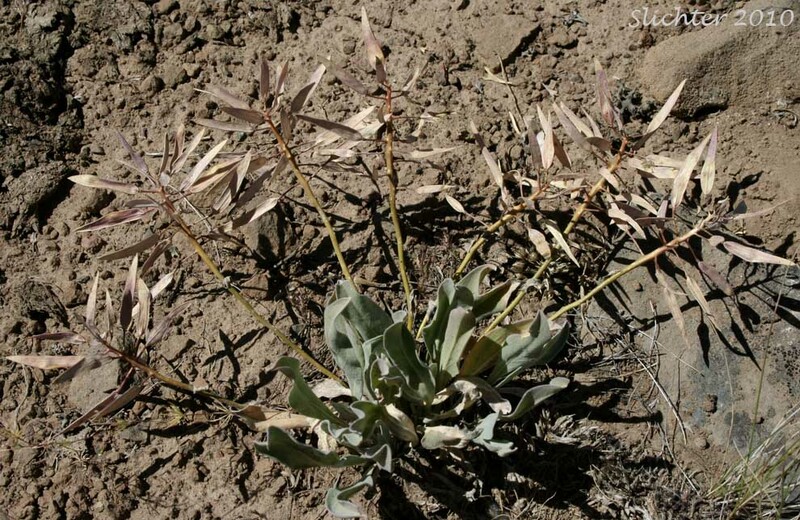 The basal cluster of gray-green leaves and dagger-like seed pods of dagger pod as seen in lithosol soils near Rimrock Lake in Moses Coulee, north-central Washington..........June 7, 2009. Daggerpod in full bloom along FS Road 1647 in southeastern Logan Valley, Malheur National Forest.........June 3, 2011. 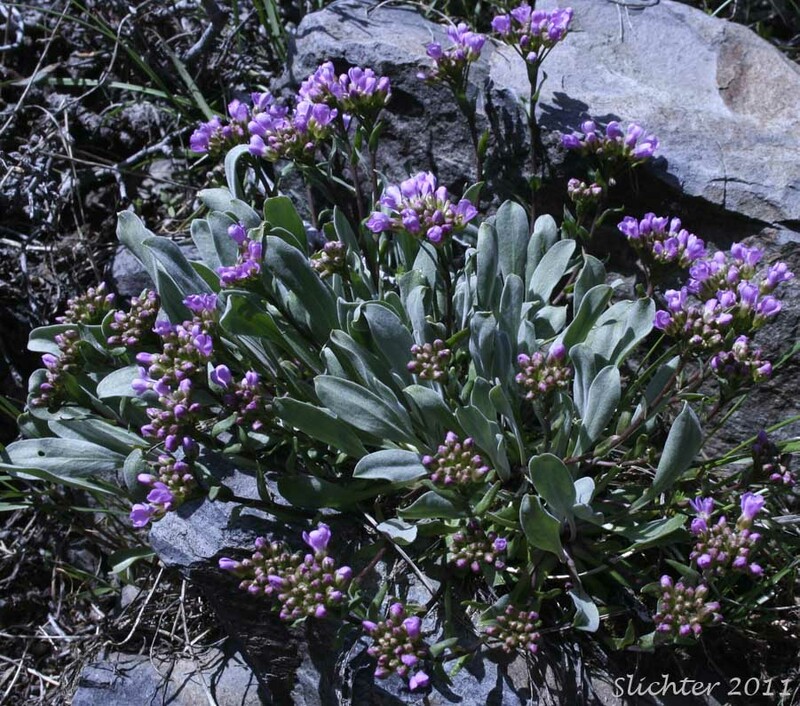 Daggerpods as seen blooming on rock outcrops on scablands between Long Prairie and FS Road 4230-050, Ochoco National Forest........April 30, 2016. 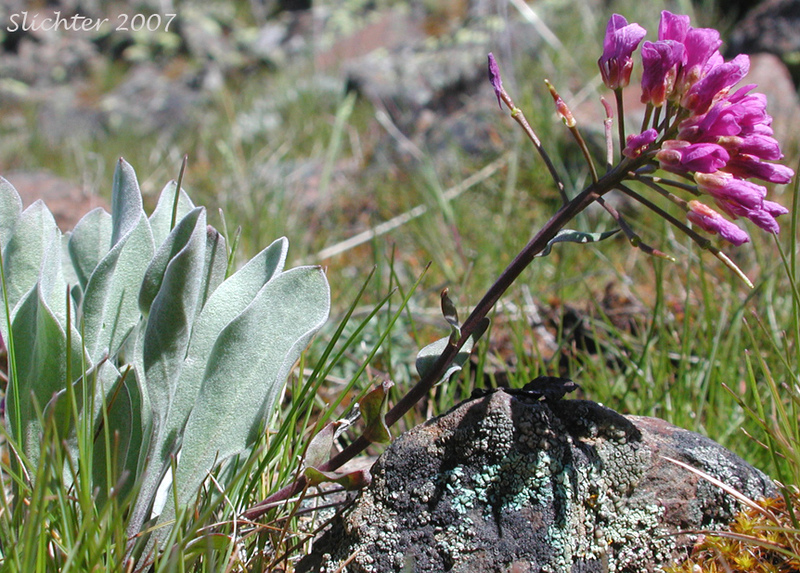 Close-up images of a typically pink-flowered form (left) and a largely white-flowered specimen (right) of dagger pod as seen along the Dalles Mt. Road in the Columbia River Gorge...........April 24, 2006. 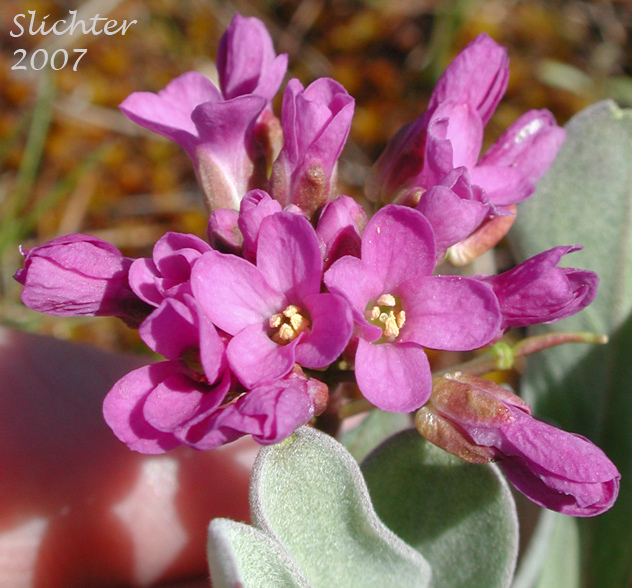 The pink-flowered form is from near the same location but in 2004. 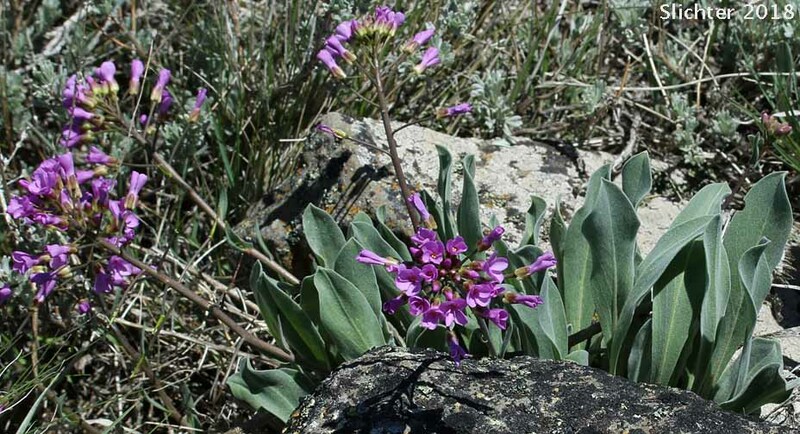 Close-ups of darker colored flowers of dagger pod as seen along Ramsey Canyon Rd to the south of Condon, OR..........April 8, 2007. 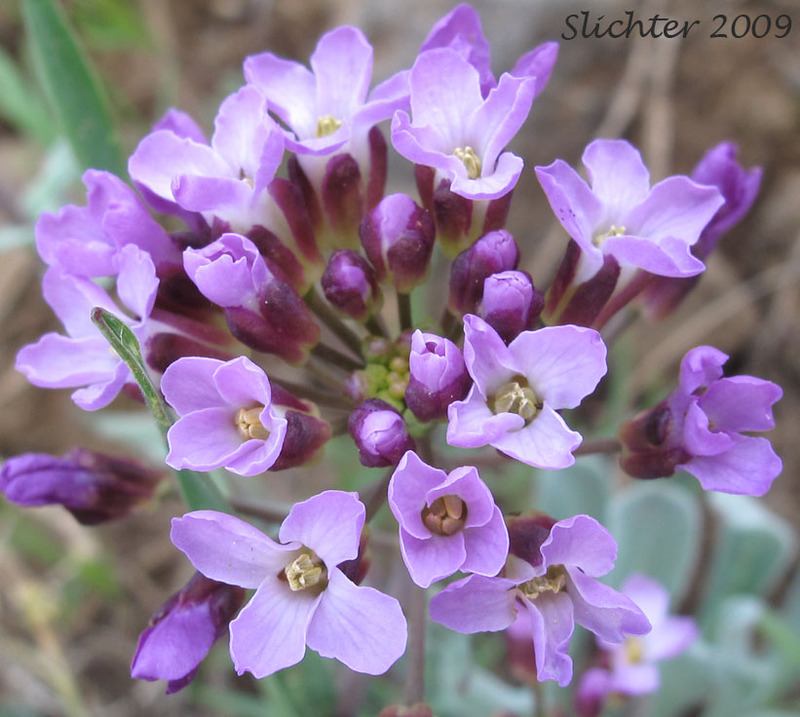 Close-up of the flowers of daggerpod as seen at left along road #35 (Reecer Creek Road), Wenatchee National Forest.........June 5, 2009. 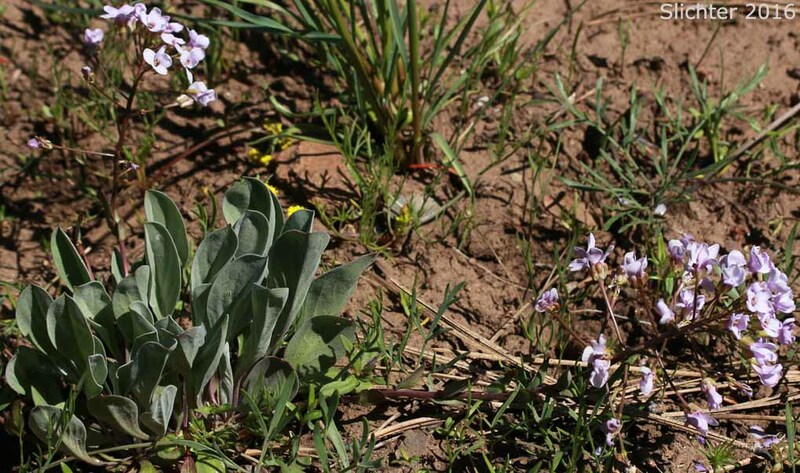 The photo at right shows daggerpods in bloom along Forest Road 16 in the Maury Mountains, Ochoco National Forest.......April 27, 2018. Daggerpod as seen along Forest Service Road 35 at a small borrow pit about one-half mile uphill from the southern forest boundary, Table Mountain, Wenatchee National Forest..........June 4, 2013. 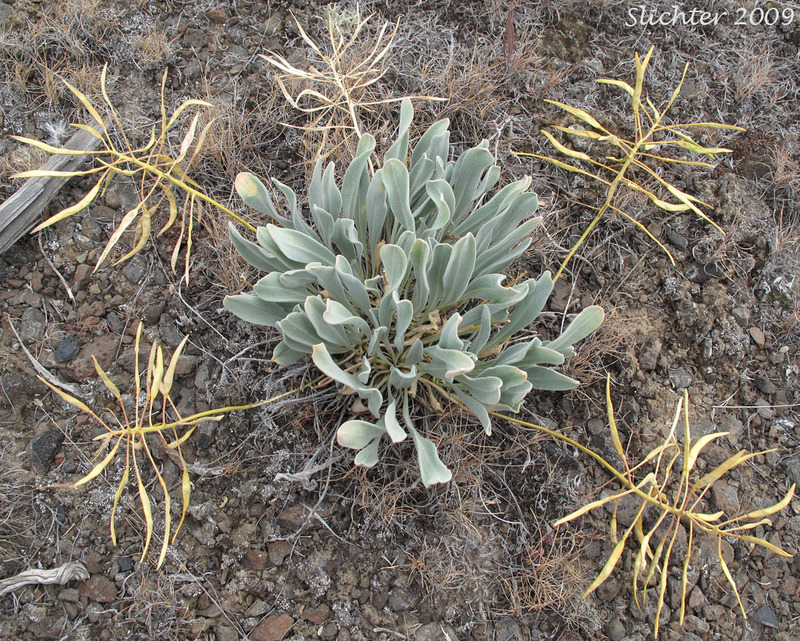 Daggerpods in bloom in scablands along Trail #808A, Lookout Mountain, Ochoco National Forest......May 26, 2018. Daggerpods in bloom along the Rimrock Springs Trail #850, Crooked River National Grasslands.......April 24, 2018. Phoenicaulis cheiranthoides (left) from Winter Ridge, Lake County, Oregon..........late May, 1996. 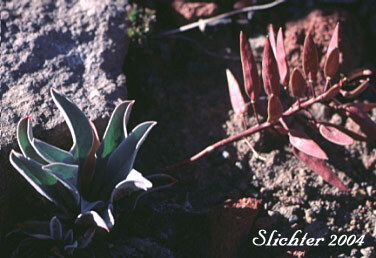 The photo at right shows the fruit of daggerpod as photographed at the South Steens Campground, Steens Mt, southeastern Oregon.......June 24, 1999. 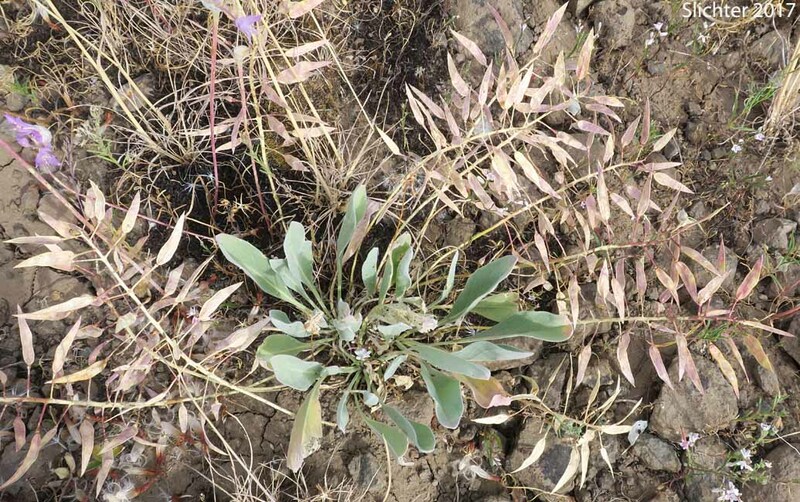 Daggerpods with mature fruits as seen in scablands along Forest Road 30 about half a mile southwest of the old Cold Springs Guard Station, Ochoco National Forest.........June 21, 2017. Daggerpod with its "dagger" pods fully evident. Photographed along Forest Service Road #1647 in southeastern Logan Valley, Malheur National Forest...........July 18, 2010. 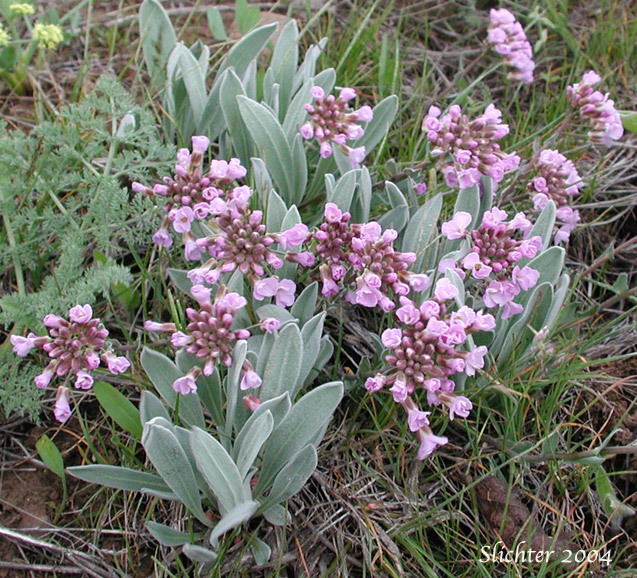 Daggerpod beginning to bloom (left) at Antelope Mountain Lookout in the southern Malheur National Forest.........June 4, 2011. 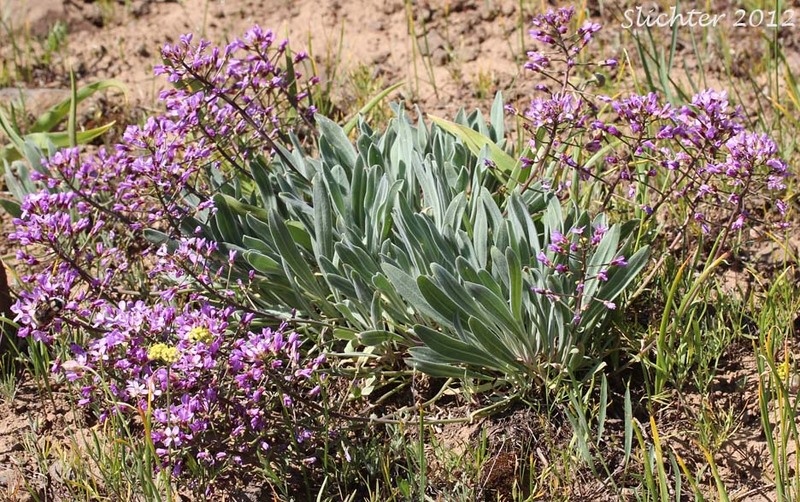 The photo at right shows daggerpod in bloom in scablands along the Round Mountain South Trail #805 about a mile north of the south trailhead on FS Road #42, Ochoco National Forest.........May 28, 2016. The photo above shows the leaves and lance-like fruits of the daggerpod. Photographed on Broken Top, 3 Sisters Wilderness, in the central Oregon Cascades..........August 1993. Daggerpod blooming (left) along Forest Road #3517, Wenatchee National Forest.........July 6, 2012. 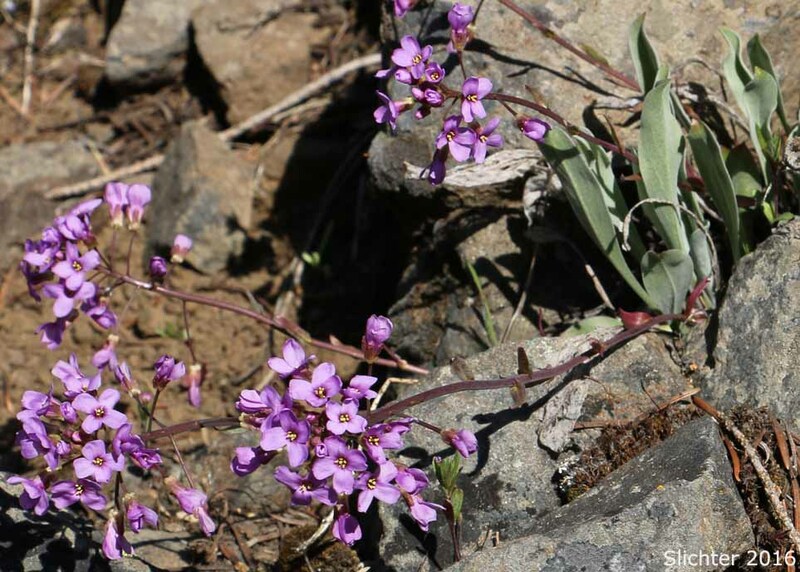 The photo at right shows daggerpod in bloom along Trail #808A at the top of south facing slopes above Brush Creek on Lookout Mt., Ochoco National Forest........May 29, 2016. 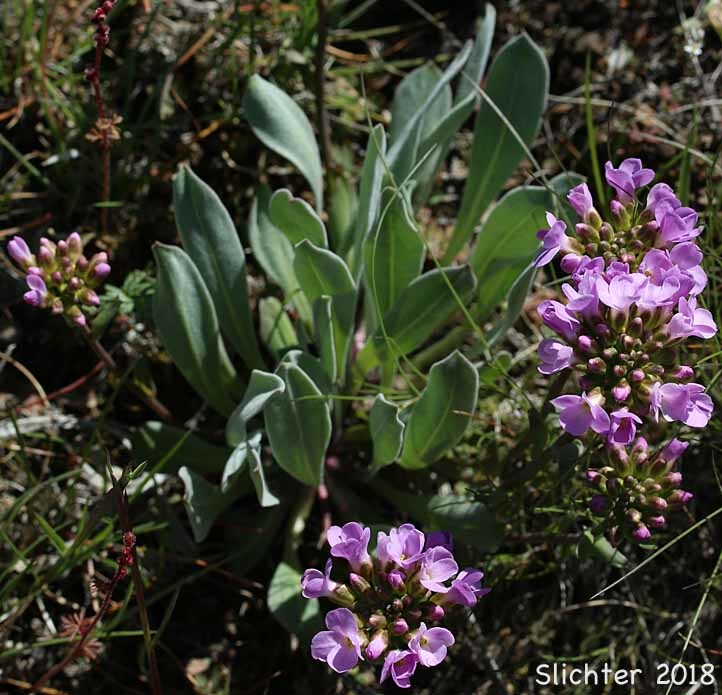 Daggerpod still blooming atop Bickleton Ridge in the Bickleton Ridge Unit of the Klickitat Wildlife Area..........May 7, 2017.